Fantastic 4 bedroom, 3.5 bath Royal Pines home opportunity. It is situated on .75 acres! Quality features throughout that makes this a must see home. There is approximately 2375 square feet of enjoyable living space. Beautiful travertine on the main floor, attractive fireplace, high ceilings, first floor master suite, and large screened porch are just a few touches that make this home welcoming. The bonus room over the garage is great for accommodating guests. 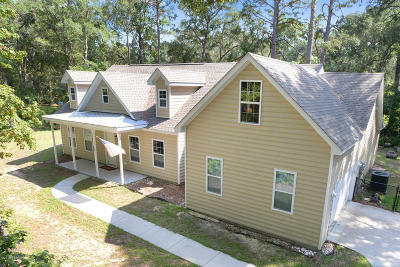 Located in the desirable golf community of Royal Pines, on Ladys Island, SC.